Yale University Press had the pleasure of interviewing Will Schutt, whose anthology, Westerly, won the Yale Series of Younger Poets competition in 2012. Here, we discussed about writing poetry and the relevance of poetry in today’s modern society. Will Schutt: I had good teachers, bookish parents, and a brother who was a great talker. I have never been a great talker, yet I have always felt an urgency to express myself. I tried drawing, but I was no good at drawing. I tried acting, but I was too shy to perform. When I wrote prose, I had no gift for storytelling. That’s not to say that poetry was my last resort, but it turned out to be the best means of articulation at my disposal. WS: Good books, a room with a view, my wife’s curiosity. WS: I write early in the morning, when I have the feeling that I don’t owe anyone anything yet, that I only have myself to answer to. I’m not sure there’s an overall process to speak of. As with soup, you keep stirring and tasting, stirring and tasting. Writing the poems in Westerly largely consisted of unearthing a pattern in an idea or experience (real or fictional). Pattern, after all, is pleasure. But there is pleasure in variation too. More and more often I find myself beginning with a formal pattern or turning over a particular word—ferry, carnival, wishy-washy, etc.—and figuring out how much I can deviate from the pattern or word’s associative meanings without giving way to chaos. YUP: Which audience (if any) do you have in mind when crafting your work? WS: Usually I do not have an audience in mind. Occasionally I wonder what certain writers I admire would think. Once in a blue moon I worry about what someone who isn’t a native speaker of English might make of my work. WS: It is a good sign if I have surprised myself, if I have landed somewhere I hadn’t set out to land originally. I try to exhaust a poem’s possibilities and then work backward to see if everything in the poem is essential. I do return to work I had thought was finished, oftentimes with the result that I rip the poem up and repurpose a few lines. WS: No, I don’t. I don’t even think Edmundson’s criteria for great poetry—that is, if I remember correctly, poetry that is more “public”—fits my own criteria for greatness. I come across plenty of ambitious, inspired American poetry of the moment. Poetry continues to change and sometimes people get off on sounding poetry’s death knell whenever it doesn’t resemble the model they’ve established for it. WS: I currently teach modern and contemporary poetry to high school students who prove to me on a weekly basis that poetry has hardly lost its relevance. It continues to be an antidote to deteriorating attention spans, to the manipulation of language, to deadening language, to dullness period. 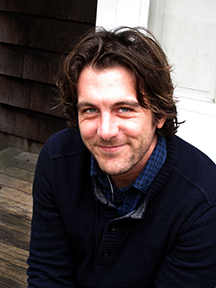 Will Schutt is the author of Westerly, winner of the 2012 Yale Series of Younger Poets prize. A graduate of Oberlin College and Hollins University, he is the recipient of scholarships and fellowships from the Gilman School, the James Merrill House, the Sewanee Writers’ Conference and the Stadler Center for Poetry at Bucknell University. He was recently awarded the Jeannette Haein Ballard Writers’ Prize. His poems and translations have appeared in Agni, FIELD, the New Republic and elsewhere. He currently lives with his wife in Baltimore, Maryland. More information can be found on his website: www.wschutt.com.